There’s a lot of pain in that budget, and in some ways the only upside that I can see is that we will be getting a lot more people through our doors, just that they’ll all be for our Doorways service. But as I thought about how this budget would affect our nation, I turned to the teachings of Jesus. And I wrote a whole sermon out, and then last night I threw it away and started again. When I returned to the passage, and widened my view, I saw that Jesus’ teaching throughout this chapter, and even the passage following, Jesus’ parables and teaching is just as relevant for us today as it was to those he was with back then. So, where are we. Jesus is teaching on his way to Jerusalem. There’s a large crowd around him, including teachers of the law, scribes, disciples, and those that followed Jesus wherever he was – generally, the poor, lepers, widows, those who would generally never be allowed to associate with a Rabbi, or teacher, such as Jesus. And we are told the scope of this parable before we start – the need to pray always and not lose heart. Some of you may know my heart for Asylum Seekers and Refugees. I’ve been speaking out against Australia’s treatment of Asylum Seekers and Refugees for some time. Our policy of indefinite mandatory detention is unnecessarily harsh on those who have committed no crime, and the policy of off-shore detention is horrendously expensive, when alternative arrangements that are better for the mental health of asylum seekers are considerably cheaper. That being said, I can’t tell you how many times I’ve been depressed over the latest increase of harshness, or the latest report of deaths at sea that could have been prevented, or even the latest inflammatory post on Facebook. I get to the point where all I can think is that this is all too big for me, that I can’t do it. This August will be 13 years since the MV Tampa affair, which was really the turning point for our treatment of asylum seekers. I start thinking how can I overcome all that history, all that prejudice. This passage gives me hope. Through persisting in our appeals for justice, eventually someone will listen and grant us that justice. In a similar way, when we pray to God, when we pray continuously, consistently, persistently, he will hear us. The Pharisee (Back) and the Tax Collector (Right). Source: Flickr. Jesus moves onto another Parable, as is often the case, and this one contrasts two characters that were as chalk and cheese to the Israelites. The Pharisee was seen as someone who held the rules and held them to the letter of the law – and liked to be seen doing it. I’ve previously described him as “Ned Flanders” of our society. 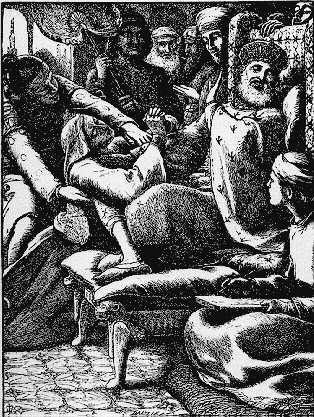 Where as the Tax Collector, he was despised – he was seen as a traitor. He worked for the Romans, the ruling party, but to the Romans, he was an Israelite who wasn’t worth anything. Society, as a whole, saw nothing good in him. I apologise to our legitimate motorcycle enthusiasts, but I see the Tax Collector as the outlaw bikie of our society. I look at this passage, and the things that the Pharisee does – they’re not wrong, in themselves. He fasts, he tithes, and he seems to live a holy life. His sin though is in his pride – he makes sure that people know what he does, so that he can be seen higher in their eyes. His heart isn’t in the right place. But for the Tax Collector, we don’t know whether he does this stuff or not. He finds an isolated, quiet corner, and asks God, from the bottom of his heart, for mercy, when he knows that he doesn’t deserve it. Tithing is an important part of our Christian life. We do it because of its mandate in scripture, but we need to do it for other reasons as well. Doing it because we signed our soldier’s covenant and it said that we would, then we’re just like the Pharisee. We need to be like the Tax Collector – everything that we do, it has to come from that heart, the heart of the bikie, who knows that nothing we can do will save us except the grace and mercy of God. Children and Rich Ruler – Take care of the little and the poor. 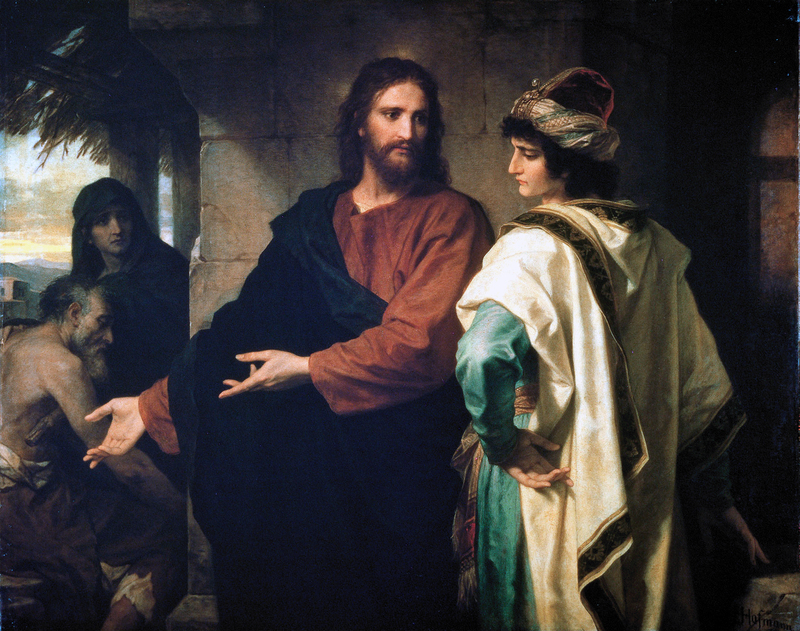 Finally, in the passage that we looked at today, we hear of two interactions that Jesus had. These are often treated separately, but I think that they are actually more connected than we realise. Luke, the author of the Gospel, is comparing these two characters once again. We had the widow and the judge – the powerless and the powerful. We had the Pharisee and the Tax Collector, the accepted and the outcast. And now we have the children and the rich ruler. Those without, and those with. 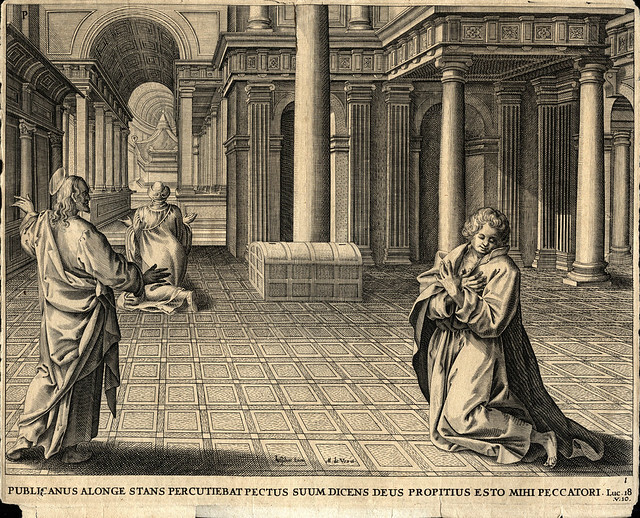 Jesus rebukes his disciples for preventing the children from coming to him. He says that the kingdom of God belongs to them, and that unless you receive the kingdom of God like a child will not enter it. With no passing phrase to indicate that it’s separate, we must assume that the ruler’s question, “What must I do to inherit eternal life” must follow immediately on from Jesus’ question. I kind of feel like Jesus’ response is showing a bit of exasperation – as if he’s saying “seriously? I just said you have to receive it like a child” – so he says the basic answer – keep the commandments. But the ruler states that he’s kept all of these since his youth. So Jesus responds and tells him to sell everything, give it to the poor, come and follow him. For the ruler, this is his stumbling block – he is so attached to his possessions that not even the promise of eternal life is enough for him to give them up. We each have our own stumbling blocks. Some of us are plagued by doubt. Some of us hold onto sins that we should’ve given to Jesus long ago. I think for many of us, our attachment to our material possessions is something that does make it easy to understand the ruler here. Here I see Jesus’ priorities. The welfare of the poor is more important than our material possessions. Following Jesus wherever he leads us is more important than any of the stumbling blocks that we place in our lives. We are called to leave them all behind, to help the poor, and to come and follow Jesus. And that’s where I struggle the most with this budget. Because, yes, I am in a position where should I need to go to the doctor, I can probably afford to pay that little bit extra. And while it would be tough, I could afford to pay for that bit extra in petrol tax. But the reality is that I know there are many, many people in our nation who will see the choice as going to the doctor, or eating. This budget does not look after the poor – as many people have already eloquently pointed out. So what am I called to do? I’m called to be persistent – to pray constantly, to petition and approach the members of parliament to make sure they know about this injustice. I’m called to tithe with a heart of mercy, knowing that the money that I give does go to support the poor, does go to support those who cannot support themselves. And I’m called to give up the stumbling blocks in my life that are preventing me from living the life that Jesus calls me to, so that I can look after the poor, to look after the outcasts, to look after the powerless, and in doing so that I can come and follow Jesus.